Former Jeppesen president and chief executive officer Wayne Rosenkrans passed away April 12. He was 86. Mr. Rosenkrans joined Jeppesen following service as an Army Air Corps F-47 pilot during World War II. He joined the company as a compiler of navigation charts and quickly moved into a succession of managerial positions. He served as manager of Airline Sales and Service, director of production and senior-vice president of operations before becoming president and chief executive officer in 1967, a position he held until retiring from Jeppesen in 1988. Mr. Rosenkrans’ vision was central to the growth of Jeppesen into world’s leading provider of aeronautical information, and his innovations were instrumental in helping to make aviation the safest mode of transportation in the world. Most notable among the accomplishments during Mr. Rosenkrans’ tenure at Jeppesen were his work with the US Civil Aeronautics Administration (CAA), forerunner to today’s Federal Aviation Administration (FAA), to develop standard instrument approach procedures for pilots to use; and establishment of the FAA’s National Flight Data Center, a central office where data on airspace, air traffic control and facilities is collected and disseminated. 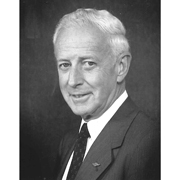 In addition, Mr. Rosenkrans oversaw the expansion of Jeppesen’s product lines to include products and services that complemented the Jeppesen Airway Manual, such as pilot training materials. Mr. Rosenkrans led Jeppesen’s adoption of computer graphics technology for use in drafting and maintaining charts, thus establishing the company as the leader in transforming aeronautical information from being paper-based to being digitally-based. Services for Mr. Rosenkrans will be held at 3:00 p.m. Friday, April 16 at Olinger Crown Hill Cemetery and Mortuary in Wheat Ridge, Colorado. Internment at Crown Hill immediately follows the service.